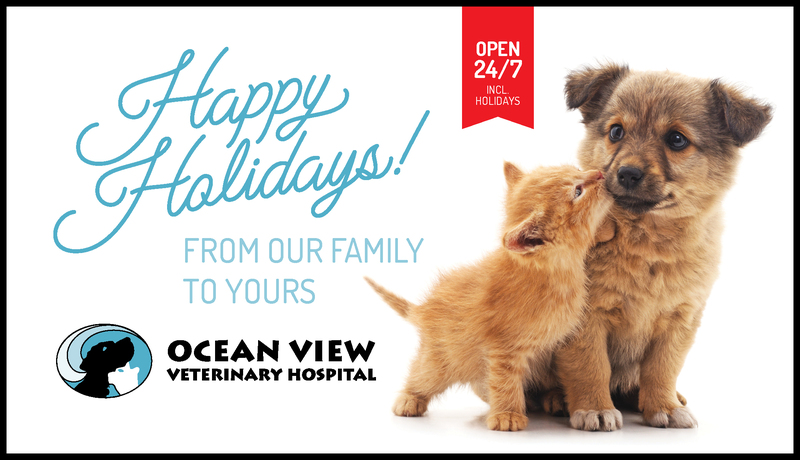 Especially at this time of the year, we are reminded of how fortunate we are here at Ocean View Veterinary Hospital. We love caring for your pets, and very much appreciate that you choose us to do so. As always, thank you! Please note, the AVMA has some excellent holiday safety tips for your pet listed on their website, which you can read by clicking on this link. No Comments to "Peace, love, and joy!"